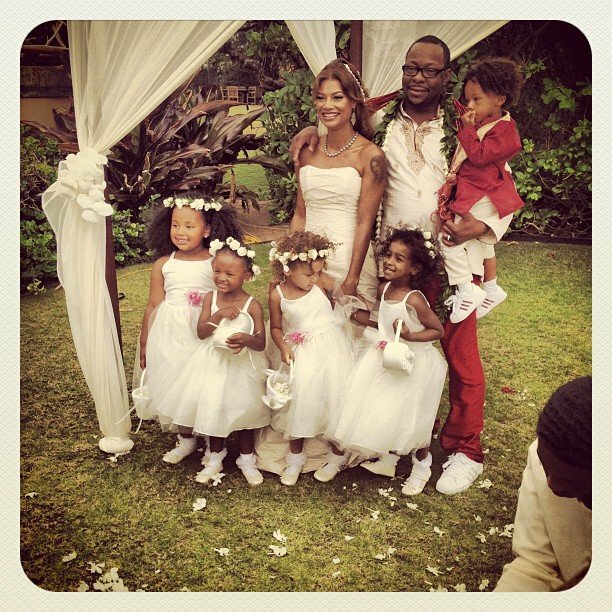 Bobby Brown has married his manager Alicia Etheridge on Monday in a small ceremony in Hawaii. Bobby Brown’s wedding may seem abrupt considering the fact that ex-wife Whitney Houston died only months ago in February, but since he and Houston had been separated for several years prior to her death it isn’t all that shocking that on Monday Brown wed manager Alicia Etheridge in Hawaii. According to People magazine, Bobby Brown and Alicia Etheridge took advantage of a New Edition performance in Honolulu to tie the knot on the Pacific island. The couple have got engaged (on stage) in 2010 and have one young son together. Bobby Brown, 43, also has a daughter, 19-year-old Bobbi Kristina, with Whitney Houston and three more from previous relationships. Whitney Houston and Bobby Brown were married for 15 years, during which time Whitney became addicted to drugs and alcohol. Bobby Brown has repeatedly denied that he introduced Whitney Houston to drugs.